Watching YouTube videos, Instagram demos, and Facebook tutorials may make us feel as though we’re acquiring all sorts of new skills but it probably won’t make us experts, according to research published in Psychological Science, a journal of the Association for Psychological Science. Social media platforms have made it easy to record, share, and access instructional videos. But does watching videos without practicing the demonstrated skills actually improve our ability to perform them? Kardas and coauthor Ed O’Brien conducted a series of six experiments to find out. In one online experiment, the researchers assigned 1,003 participants to watch a video, read step-by-step instructions, or merely think about performing the “tablecloth trick,” which involves pulling a tablecloth off a table without disturbing the place settings on top. People who watched the 5-second video 20 times were much more confident in their ability to pull off the trick than were those who watched the video once. However, people who simply read or thought about the trick for an extended period of time did not show this confidence boost. These results provided initial evidence that repeated viewing may lead people to an inflated sense of competence. 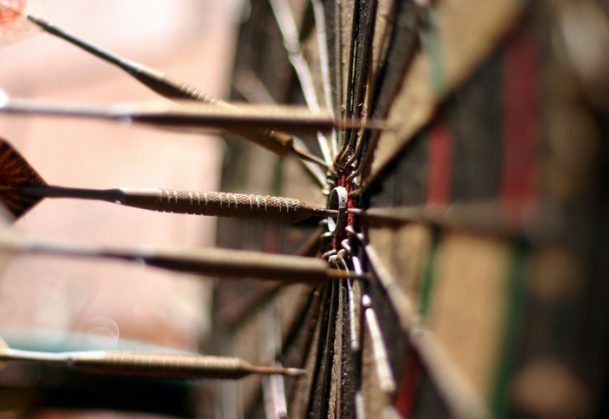 To find out whether this perception is borne out by actual performance, Kardas and O’Brien tested a group of 193 participants on their dart-throwing abilities. Those who watched a demo video 20 times estimated that they would score more points than those who saw the video only once–this high-exposure group also predicted that they would be more likely to hit the bull’s-eye and reported that they had learned more technique and improved more after watching the video. But these perceptions did not line up with reality: People who watched the video many times scored no better than those who saw it once. Kardas and O’Brien found evidence for this phenomenon in other domains, including doing the moonwalk, playing a digital computer game, and juggling. The more that participants watched others perform these skills, the more they overestimated their own abilities. Why does repeatedly watching a video breed such overconfidence? Participants who watched a variation of the tablecloth trick video that did not show the performer’s hands evidenced no exposure-related overconfidence, suggesting that people may feel confident only when they can track the specific steps and actions in performing a skill. Thinking about detailed steps or learning technical information about the objects involved did not lead participants to form more accurate perceptions. In an experiment focused on juggling, only participants who were able to hold the pins after watching a juggling video revised their estimates, reporting that they had learned less and were less capable than they originally thought after watching. The researchers are interested in testing other strategies—such as playing virtual-reality games—that might mitigate the overconfidence effect, helping people to better appreciate the limitations inherent in merely watching others. This research was funded by the Willard Graham Faculty Research Award. All data and materials have been made publicly available via the Open Science Framework (OSF). The design and analysis plans for Experiments 1, 3, 4, and 6 were preregistered at OSF. The complete Open Practices Disclosure for this article is available online. This article has received badges for Open Data, Open Materials, and Preregistration.